Within Car Park of St.Ambrose High School & Townhead Community Centre. A4 Map - Scale 1:7,500 5m contours. Updated November 2018 by Terry. Chasing Start from 2pm adjacent to Car Park. Competitors within 10 minutes of their leader must report to Preassembly - within old Bike Shed by 1.45pm ; all others by 2.05pm. The majority of the sites shall use Sportident fibreglass stakes / SI Unit with the Code Number shown only on the Unit itself. HQ is "Lesser Hall / Gymnasium" within Townhead Community Centre. Toilet facilities available. Vending machines on site. Chasing Start from 2pm adjacent to main building. Competitors should uplift their personalised Race 3 envelopes with your map inside by 1:45pm from "The Lesser Hall". Do NOT Open or remove the label or tear open the envelope or make any attempt to view your course prior to being officially instructed to do so. Control Descriptions for Leg 3 are on the map only ; no loose Control Descriptions. 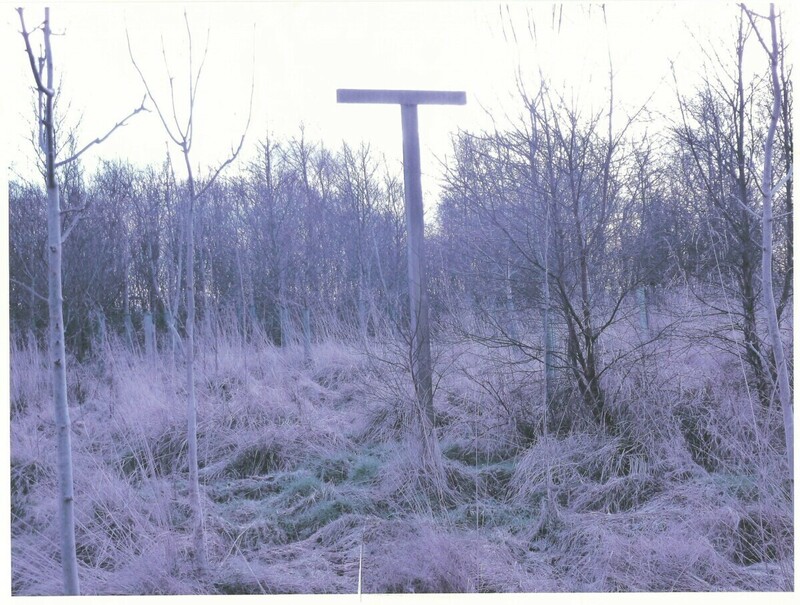 The "X" on the control descriptions signifies a Tall Wooden 'T' Post as shown on the attachment. Social & Junior Maps are not subject to the above restrictions.